Welcome to my all original astrology weekly prediction by Maya White, serving up the best in astrology and AstroCartoGraphy relocation astrology. We welcomed an exciting Aries New Moon on Sunday. Being the first sign of the zodiac, Aries bursts forth like a new born child. The job of Aries is to shine, to take action, and exhibit courage. This new moon has a special relationship with the planet Uranus. And, something unique happens this week on Wednesday – the Sun joins Uranus, the planet known as the Great Awakener. The new moon of April 15th also concluded our recent Mercury retrograde phase; Mercury will not be retrograde again until July 26th. Although Mercury retrograde is good for your intuition, it can make practical matters a bit more difficult. So, this is good for you to now move forward full steam ahead. On Tuesday, Venus opposes Jupiter and she trines Pluto. Also, Saturn stations retrograde. I see this as saying to engage your brain before you do anything rash. Think of Saturn retrograde as coming to make manifest. Saturn reminds us all that we have to do those things we’ve just been thinking about. 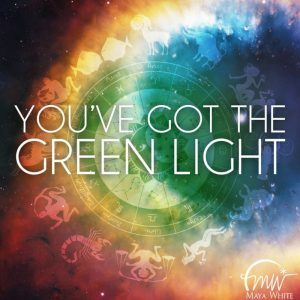 Venus, Jupiter, and Pluto advise that there will be some work involved, and it may even take longer than planned, but the outcome will be worth it. On Wednesday the planets deliver a wakeup call as the Sun conjuncts Uranus. Personally, be prepared for something provocative such as new information, or a new person who delivers something you may have never even thought of before. Universally, this moves things ahead on the world stage so this is a very interesting week to pay attention to the global situation. There are some serious issues afoot now, and we may see them even further ignited, but also, on the positive side, new technologies and more care and concern for people and animals are all possible. On Thursday, April 19th the Sun changes signs, leaving Aries and entering Taurus. 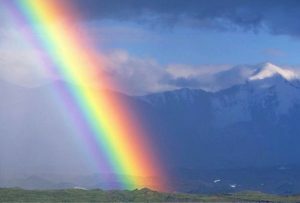 The message here is again about manifestation – of your good, or your potential, of your prosperity, and your abundance. There are many situations in the world that call out for our attention, but it’s also a critical time to keep your personal energy grounded and clear. Remain focused on your own health and relationships. Do all that you can to make the world a better place because the world has long been a realm of discord, and it’s our job to be peacemakers. There will be much that wants to grab your attention this week, just be sure you control where you put it. P.S. – Want to know where to go to maximize your gains? Check out my Best Place for Love and Money report. My Key phrase for this week refers back to sound advice of the Golden Rule which says: ‘do unto others as you would have them do unto you’. This makes good sense at all times, but it’s especially important now because Pluto, Saturn, and Mars are lined up in Capricorn. Pluto and Saturn stay in Capricorn until early 2020, but this month they are supercharged by Mars. Mars is just not happy sandwiched between Saturn and Pluto. 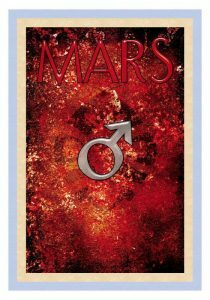 The warrior planet has a mission and quest will be revealed by Mars conjunct Pluto on April 26. Until then, this trio keeps us all on edge. Be wary of making a rush to judgment under this planetary combination. The positive expression of this lineup is to get you motivated. Remember – Mars and Saturn never quit. Saturn lends discipline; Mars fuels your initiative; and Pluto dives deeply into your conviction. Adding to the mix is the Dark Moon Lilith conjunct Mars which can shift you into victim mode. You are more than a victim. Live in the realm of words such as ‘power, ease, and rhythm’ to walk on the knife’s edge of positive thinking. Mars can also trigger health problems now by setting them on fire. Conditions like arthritis, (related to Saturn) digestive issues, (Mars) and long standing toxicities (Pluto) such as candida yeast and/or heavy metals can be activated by this planetary trio. The good news is that Mars can also ‘punch out’ the problem. Look to heat related remedies such as turmeric, cayenne, garlic, and ginger for relief. 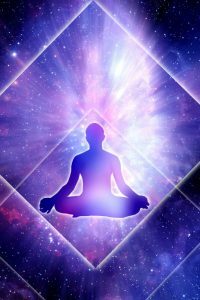 Your clothing and color choices also help you get in tune with the positive planetary potentials; red, black, purple and gold are the colors to wear now. On Wednesday, April 11th, the Sun square Pluto is another aspect that speaks not only to the Golden Rule, but serves up a reminder to: ‘Love Yourself First’. Sun square Pluto often comes disguised as a power struggle that leaves you feeling you did the wrong thing, or that somebody else was just mean. If this happens, take a deep breath, get centered in your heart, and have a cup of tea because there are also powerfully good forces at work. Jupiter and Pluto are living in a harmonious 60 degree sextile, exact on Saturday, April 14th. In mythology, Jupiter and Pluto were brothers; Jupiter ruling the earth from atop Mt Olympus and Pluto serving as lord of the Underworld. 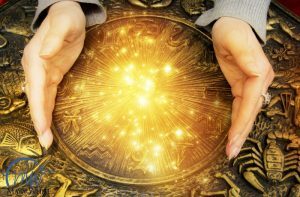 Symbolically, Jupiter and Pluto are on the same page all month, and you can trust that there is a synergistic reason behind all that happens in your life and even in the world. Plus, Venus, now in Taurus, is strengthened by the sign of her rulership. Venus trine Pluto on April 17th and the Sun conjunct Uranus on April 18th promises that this month holds many good surprises. So remember the Golden Rule: ‘Do unto others as you would have them so unto you’; good advice always, especially when Jupiter and Pluto are working together. This is a time when you must choose your focus – positive or negative – you decide. Stay true to your goals, connect with your heart’s desire, and put them all together. If you’re an early morning person, you may have noticed a bright red ‘star’ in the pre-dawn southeastern sky. This is more than a star – it’s the planet Mars! And, notably, he has been dancing with Saturn now in the early degrees of Capricorn. Mars and Saturn are conjunct today, and this week, on Saturday, April 7th, they will be illuminated by the Moon. So, all you early risers, get familiar with Mars and Saturn, and be sure to see the special lineup this week on Saturday – a triple conjunction. The Moon illuminates whatever it touches, so watch and see what develops as the last quarter moon conjuncts Pluto on Sunday, April 8th, lighting up this Mars/Saturn union. Think of Mars and Saturn as two warriors – Mars is the marching soldier and Saturn is the commander. When working in alignment they add discipline to any situation – including your project and/or the path to your next step. Mars and Saturn never quit, especially now as they stand guard to remind you that accomplishment takes perseverance. Because they are in the Cardinal earth sign of Capricorn, and they give you the gift of being grounded, disciplined, and ready to take positive action. And, there are more planetary aspects this week to support your journey of Stability. Mercury squares both Saturn and Mars, and then on Saturday, April 7th, Venus trines Saturn. All of these aspects add a serious tone, and mid-week, you may need some time alone to make an important decision. Things can work out well with Venus trines Saturn, and this aspect helps you to maintain the discipline of a positive outlook. However, this week continues to caution deliberation. Sometimes what looks like a gift is actually a test of power. Remember that Mercury is still retrograde, and it can bring people and situations back into our lives that we have actually outgrown. Mercury retrograde can fuel decisions that you’ll want to reconsider by the end of April. Let Mercury and Saturn give you stability this week when you may have to say ‘no’ to something in order to say ‘yes’ to a better situation. 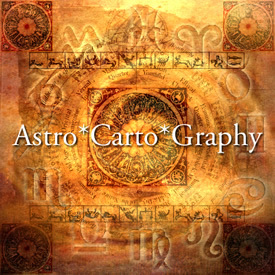 And, if you are looking to find your BEST PLACE on the earth for success, I have the perfect solution – check out AstroCartoGraphy. 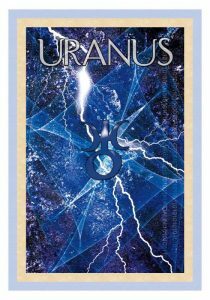 Venus conjunct Uranus delivers your Quickening this week! Once again, we welcome another full moon, this one on Saturday, March 31st . Just like last month, this one is a Blue Moon, or second full moon within one calendar month. This Blue Moon shines it’s Light on the Venus ruled sign of Libra. All partnerships are ruled by the sign of Libra; personal and professional, business and love. But, the most important relationship is the one we have with ourselves. Undoubtedly, this Saturday’s Libra full moon will open up the doors to your partnerships, but also be reminded that this sign of balance is urging you to be whole. And, on Wednesday, March 28th, as if in preparation for the full moon, Venus the planet of love joins Uranus, the Great Awakener. These two united will absolutely stir your passions. Quickening refers to that point of movement, when you feel a life pulse. Medically, it’s related to a time, usually in mid pregnancy, when a woman feels a flutter of life from her unborn child. Metaphysically, your Quickening is the time when you feel a lifting, a stirring of life within yourself. Venus conjunct Uranus enlivens your spirit within your body, making this a week to respond to your inspiration. Take action, believe, and release your divine manifestation capacity. Venus and Uranus are also noted for sudden attraction, and, now with Mercury Retrograde, there is one caveat: do not mistake sudden attraction for love that can last a lifetime! The exciting love you meet may be that person who only takes you across the river, not go the distance. Remember that Venus rules your love nature. Venus, especially in Aries, can become obsessed with the thrill of the chase. And Uranus is noted for a quick, lightning strike of attraction. Sometimes this combination leads to unhealthy obsessions and bad decisions. Don’t set yourself up to live with regret by Sunday, which is April Fools day. So, this week’s planetary brew delivers a huge potential. If single, you just might meet your next partner; if in a relationship, you might feel a need to break free. Either way, your affections are well served through the temperance of time. Mercury retrograde is noted for stirring up unresolved patterns and these become manifest in people you meet. It’s also a time when past lifetime lovers and relationships appear for resolution. No matter what your situation, remember that Mercury retrograde can cause you to make decisions that you’ll want to reconsider by the end of April. On Thursday, March 29th the Sun squares Saturn says ‘Choose Wisely’ in a stark reminder that there will be consequences for your actions – for better or worse. Thursday is not a good day to give your resignation on a job, or to end your marriage. It IS a good day to plant your feet in the ground and claim rewards for a job well done. Move this week’s planetary energy into healthy relationships with self and others.